Don’t see what you’re looking for? 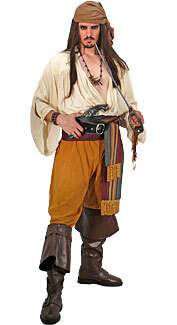 We can help you put together a unique pirate costume based on your style and size needs. Please contact us for more information. 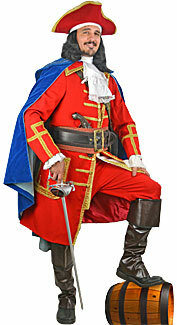 A deluxe decorative pirate man costume. 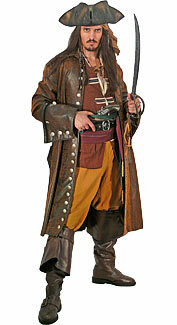 A pirate man costume with a brown jacket. 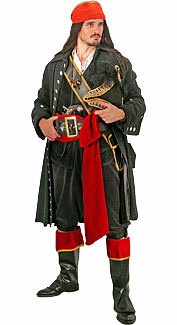 A pirate man costume with a black jacket. 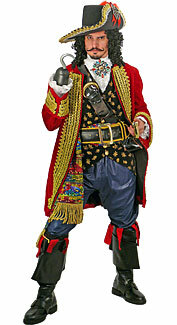 A pirate man costume with a black velvet jacket. 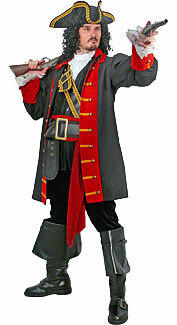 A pirate man costume with a maroon velvet jacket. 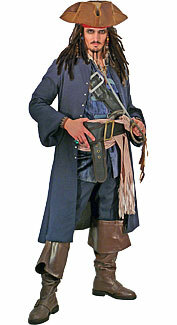 A pirate man costume with a dark blue jacket. 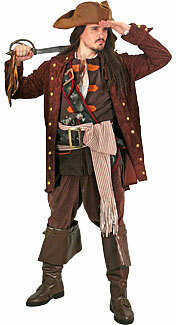 A pirate man costume with a charcoal-grey jacket. 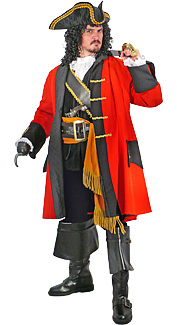 A pirate man costume with a black, white, and red outfit. 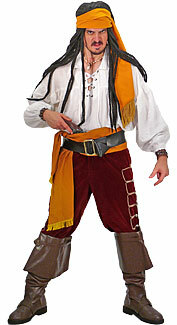 A pirate man costume with a maroon, yellow, and white outfit. 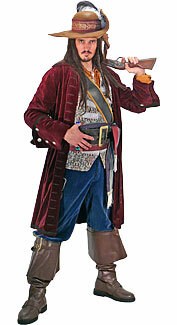 A pirate man costume with a tan and maroon outfit. 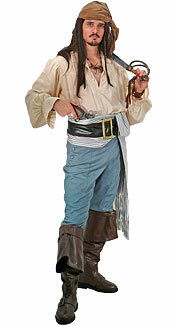 A pirate man costume with a blue and off-white outfit. 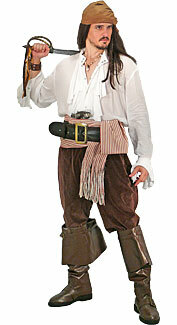 A pirate man costume with a brown and white outfit. 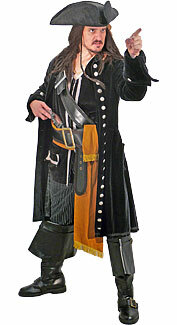 A pirate man costume with a black, yellow, and white outfit. 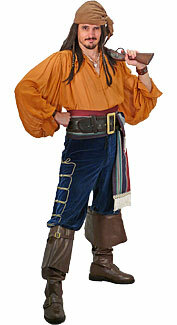 A pirate man costume with a brown and blue outfit. 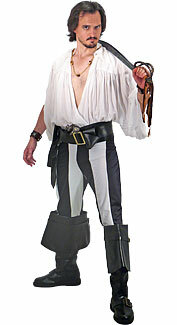 A pirate man costume with a black and white outfit. 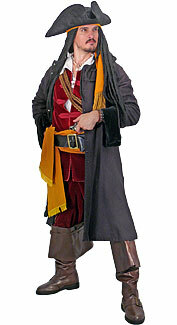 A maroon, brown, and black lady pirate costume. 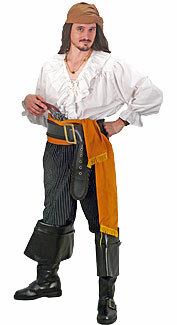 A yellow and black lady pirate costume. 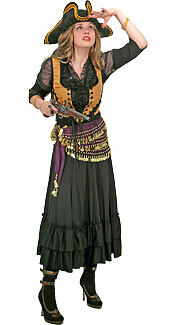 A yellow, purple, and black lady pirate costume. 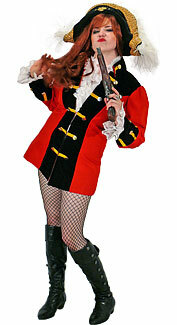 A red, black, and silver lady pirate costume. 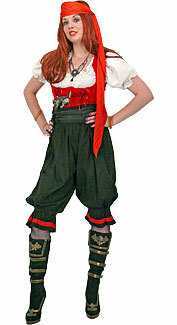 A red and black lady pirate costume. 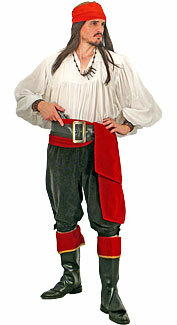 A black, white, and maroon lady pirate costume. 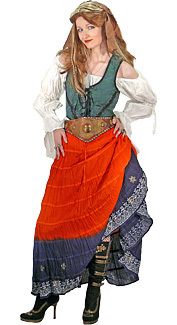 A green, orange, and blue female pirate costume. 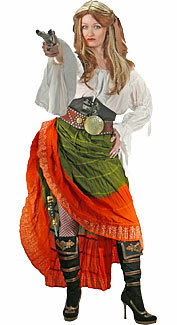 A green, orange, and white female pirate costume. 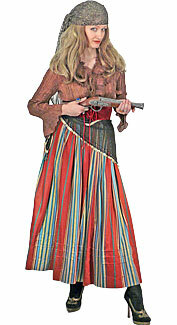 A multi-colored female pirate costume. 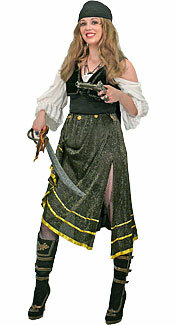 A gold and black lady pirate costume. 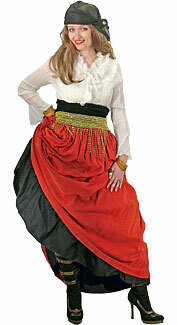 A red, black, and white lady pirate costume.